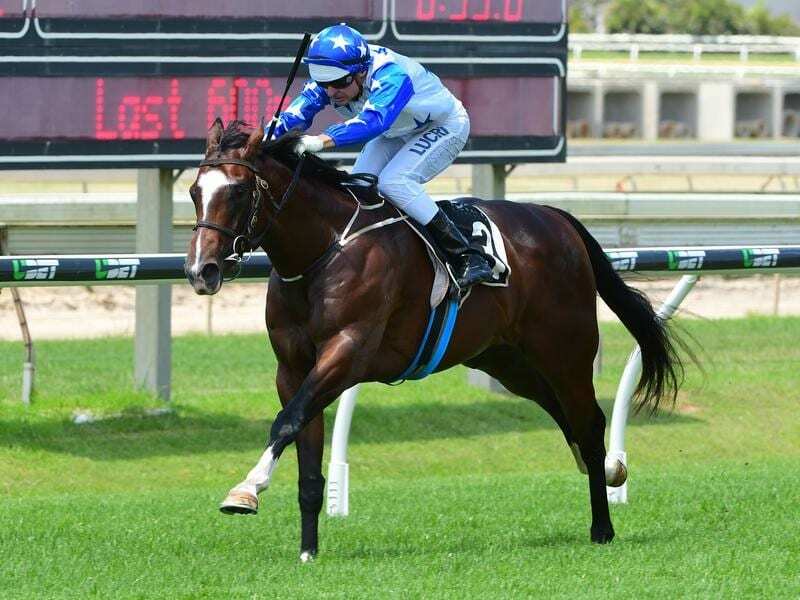 Neptune’s Spear will run at Doomben before heading to New Zealand for the Karaka Million. A late programming change by Racing Queensland has proved a blessing in disguise for two-year-old Neptune’s Spear. Trainer Liam Birchley had intended to run Neptune’s Spear from the outside barrier in the QTIS Two-Year-Old Handicap at the Gold Coast on Saturday. It was to be Neptune’s Spear’s last run before heading to New Zealand to tackle the Karaka Million on January 26. Birchley was able to scratch the horse on Saturday morning after he was told RQ had added a two-year-old race to the Doomben card on Wednesday. RQ added the race after criticism from trainers that too many horses were getting balloted out due to field size restrictions. “It looked as though we had no choice but to run him on Saturday from the bad draw and I was worried it may have flattened him a bit against a class field,” Birchley said. Neptune’s Spear was a brilliant winner at Doomben in November and Birchley has given him plenty of time to get over the run. “He has a lot of early pace but I think he will have no trouble getting 1200 metres,” Birchley said. Birchley has won the Karaka Million twice with Sister Havana (2010) and Hardline (2015). The trainer will have one of the outsiders, Courseshewill, in the $2 million Magic Millions Classic on Saturday. Courseshewill won her first two starts but has been well beaten at her past two. “She got bumped in the Calaway Gal and then in the Bruce McLachlan she got pushed right off the track just after the start,” Birchley said. Birchley is yet to win the Magic Millions 2Y0 Classic but has had minor placegetters – Pepperano (2015), Ruby Soho (2014), Miss Longstocking (2013) and Paprika (2009).